Whether you are fresh out of college having just earned you Bachelor's degree, or whether you have been working full time for a number of years and have finally decided to go back and get that Master's degree, it is a big decision to continue to further your education.It is a wise decision, of course, but you do need to be able to commit to it one hundred percent.Here are a few tips to help you prepare. Take your time planning. Consider what you want to achieve with your MBA. Are you looking to get into a brand new career, or are you looking to further your career with your present company? Simple questions like these will help you decide which schools are right for you. Financial planning is also important at this point. You need to thoroughly research any loans, scholarships, and grants that may be available to you. Going along with the financial prep, you also need to look for employment that will be flexible with your school schedule. The nice thing about most MBA programs is that there are several courses offered at night, and on the weekends as well. There are also possibilities of tuition reimbursement from different companies. Some are full, some are half or partial, but it sure does make life a whole lot easier if you don't have to worry about paying for school. If you graduated with a degree in business, you will be all set. Some people, however, go into an MBA program with a Bachelor's degree in another field of study.While this is perfectly fine too, there are some prerequisite classes that you will need to have, such as accounting, marketing, finance, etc., which you may not have taken. Make sure you take these additional classes, or they will just add unnecessary time to earning your MBA. You can set up an appointment to talk with school counselors who know the ins and outs of getting into an MBA and will be able to tell you exactly what you need to take and prepare for as far as classes and scheduling go. This service is provided by the school and is free of charge. This cannot be stressed enough. There is so much competition to get into a good school that your GMAT can make or break you with your top choice. There are many study guides and classes you can attend to help you prepare. Tools like online GMAT prep courses by empowergmat.com can also help immensely. 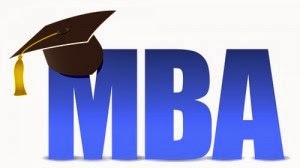 Earning an MBA is a huge undertaking. It is crucial that you have the support of your friends and family. You will not have the time you once had to do simple things like coffee with the girls or Monday Night Football. Do not entirely cut out all fun (you need some to stay sane), but do realize that classes and studying will be a major part of your life while you are earning that degree. Make sure that your family is willing to lend more of a helping hand at home, possibly even more financial support than before as well. There are so many doors and employment opportunities that open up from having an MBA. If you're interested in working overseas, having an MBA greatly increases your chances because of the schooling that you take while earning your MBA. There is a big focus on global economies which helps you to be more confident in applying for those types of jobs. Earning that MBA will definitely pay off in the long run, but understand that there is a long and difficult road ahead. As long as you are prepared for what you are getting into, you will do great. Best of luck to you!